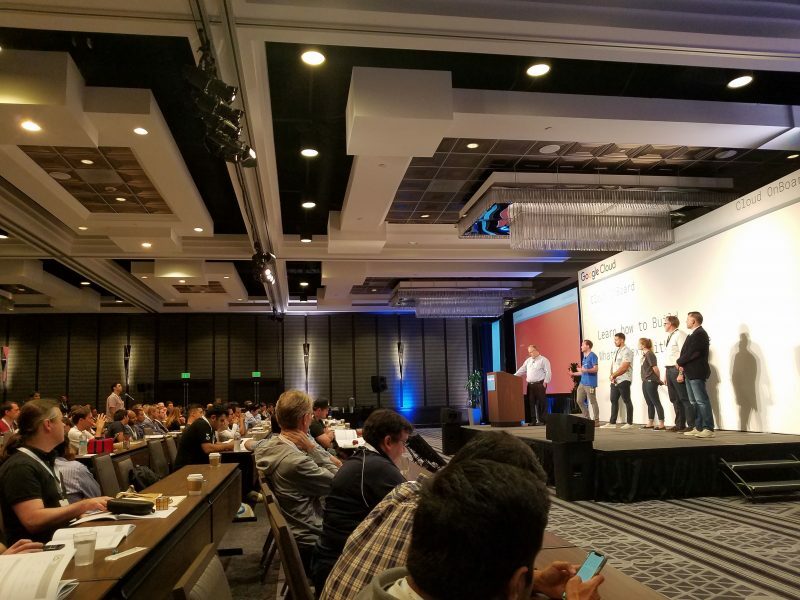 As part of my ongoing work with UXPALA, I attended the Google Cloud OnBoarding Event held on August 21 at the Downtown Los Angeles Sheraton Hotel. As a UX consultant, I constantly hear more about Machine Learning and Cloud Technologies from collaborators, clients, and colleagues. I wanted to see what Google had to offer in comparison to other cloud services such as web hosting, machine line, and cloud vision processing tools. l discovered that a majority of those who attended the event were developers, engineers, and Google Cloud enthusiasts. I met up with old colleagues from school and a few from the city’s IT teams. This was an all-day event with small workshops that included presentations and demos of the current version of Google Cloud Platform (GCP) by the new Google Cloud Los Angeles Office led by Giraldo Hierro, Head of Customer Engineering. 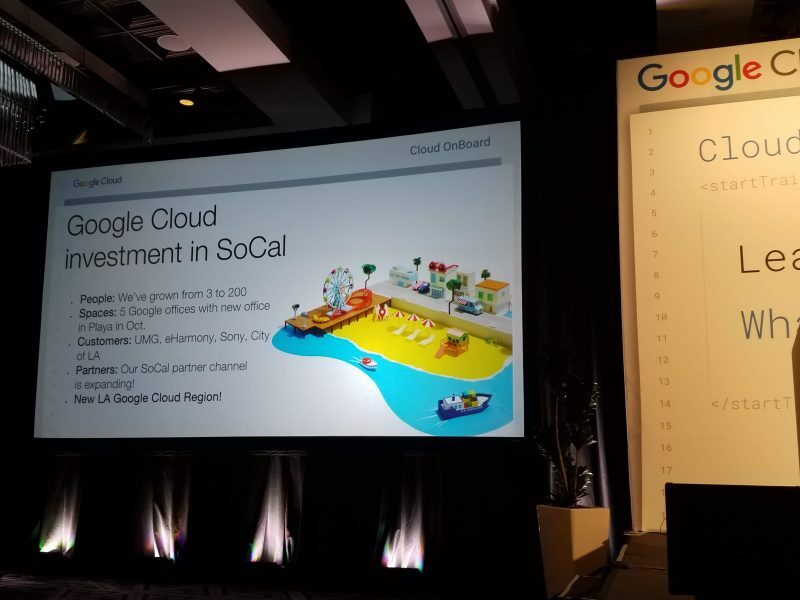 In their introduction, the GCP team stated that Google is now an AI company and highlighted that they expanded their Cloud Platform operations into SoCal and are focusing on making Big Data and Machine Learning accessible to larger audiences. The GCP team exhibited demos of their voice recognition, text translation, and other Machine Learning tools that have easy drag and drop input for users. Upon speaking with Christian Tanev, one of their demo engineers, I learned that a big part of assimilating more people with their cloud technology is by integrating computing experiences that they are familiar with. All of the demos were done in a Chrome Browser on Chromebooks to illustrate this point. The Cloud Vision API Demo blew me away on how quickly the GCP engine can assess metadata and other characteristics of photos. I could simply upload photos from my drive by ‘drag and drop’ into the indicated area. With this API, you can detect objects, texts, and faces within photos. The extracted data can be used to build categories for a Machine Learning algorithm to understand user preferences or patterns for sentiment analysis. For example, you could use this technique to determine which user photos goes first for a restaurant review website. The API can be modified to create metadata of uploaded user photos by type of color, angle of composition, brightness and other features. Then a value system can be created to determine which user photo appears first in a restaurant review. I am looking forward to see what Azure and AWS will be offering soon in terms of education and on-boarding for their platforms. GCP offers a lot tools to understand this technology better including a manageable cloud platform and free online classes to get deeper knowledge or to become certified as a Cloud Engineer or Data Scientist. After attending this on-boarding workshop, I believe that having access to powerful processing for metadata would be beneficial for user research insights. I will add that UX practitioners should consider adding these tools into their research phases, but to use them with a grain of salt. Machine Learning processes can have margins of error, and no dataset is perfect. As UX practitioners, we must use our ability to discern research insights and to question the validity of data sources. Machine Learning projects are only as good as the intent you invest into them.